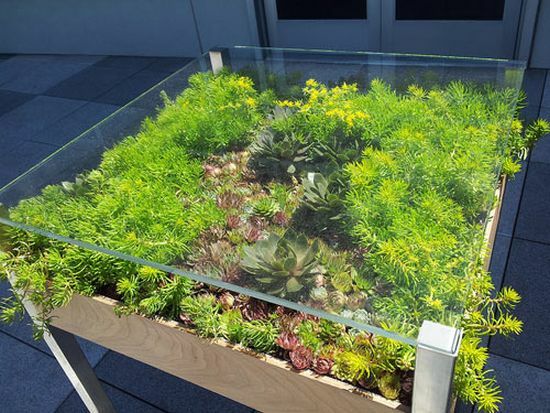 We often see urban dwellers lamenting over the scarcity of green spaces in cities. 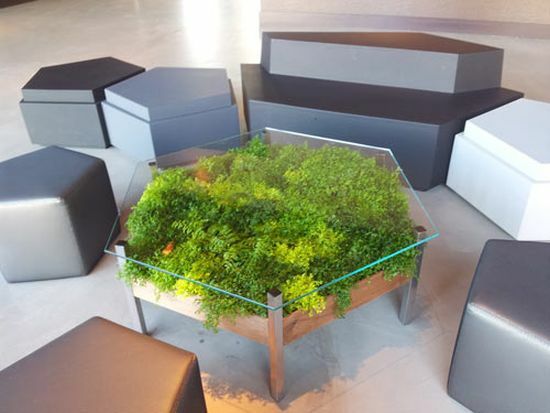 Almost haunted by the sheer decline of cultivable land where they could grow herbs and breathe an occasional gust of clean air, urbanites adopt indoor gardening measures for the same. 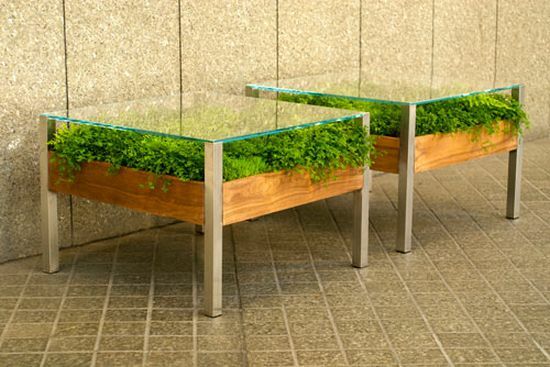 Conceived and created by folks at Habitat Horticulture, the Living Table allows such city dwellers to bring some plantations inside their abodes. 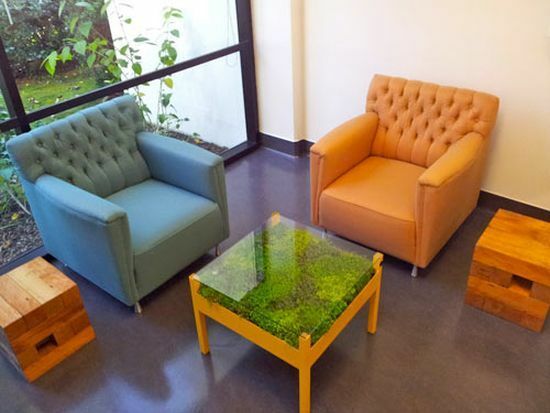 The highly customizable table lists itself as the newest entrant to the firm’s Ferniture range. You are wrong if you think it’s a hydroponic system. 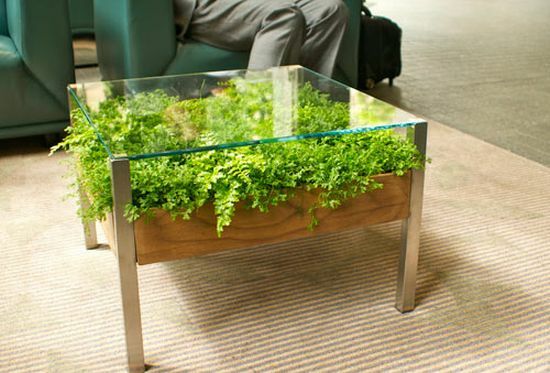 Instead, it’s a table bedecked with a portable garden. 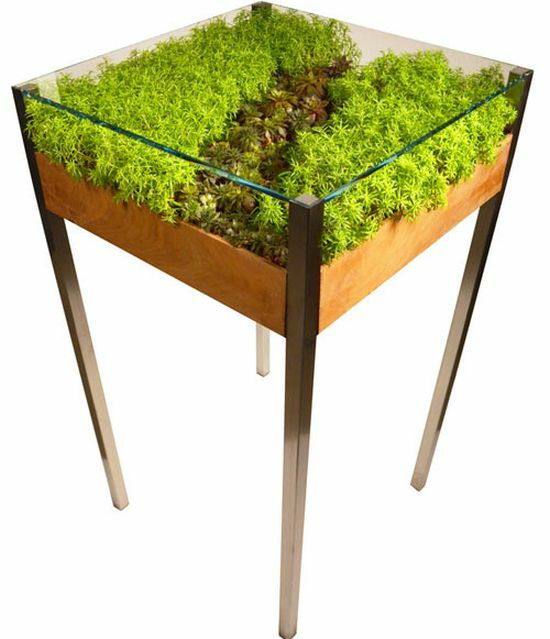 Handmade in Habitat Horticulture’s San Francisco headquarter, the Living Table relies on a sub irrigation system for once a month watering. 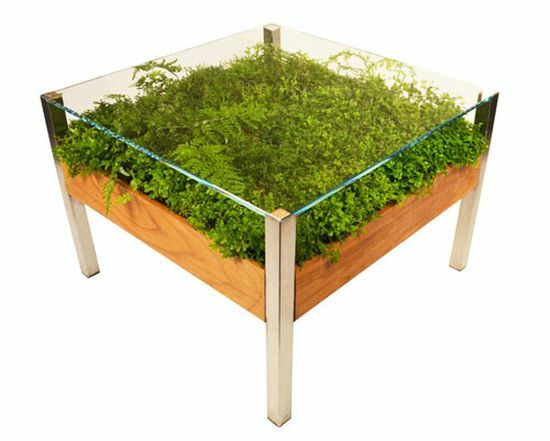 In order to ensure strength to the surface, it’s made from 3/8 inch-thick tempered glass, which can support 180lb per square foot weight with extreme ease.